We started the team because we missed dancing Appalachian so a few of us, still based locally, started thinking about setting up a new team in Brighton. We were also being badgered (in a nice way!) by a few friends who had taken part in workshops at festivals and were really keen to learn more. Our aim is to present a team with precise stepping, moves, dance links and so on, so people can really appreciate the dance and music - and also to have as much fun as possible! We plan to incorporate other styles of music and dance into what we know and hopefully have an interesting mix. ​We dance to a great live band playing traditional old time music with Michi on fiddle, Chris on five-string banjo, Patrice on double bass and Paul on guitar, Dylan on mandolin and joined whenever possible by Linda on fiddle. 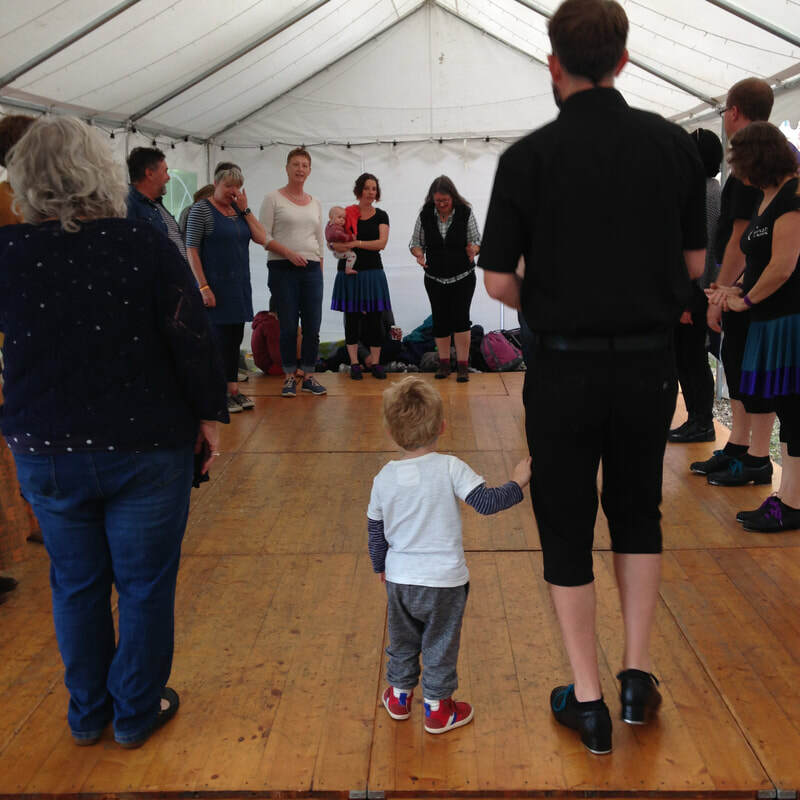 The team has performed and taught dance workshops at many festivals and events across the country including Towersey Village Festival, Sidmouth, Chippenham, Orwell Bluegrass Festival, Wimborne Festival, Sweet Sunny South, Folk East and the South Downs Festival.